On September 9th at the Edison Ballroom in NYC, Investigation Discovery and Glamour honored Brittany Snow, Kristin Chenoweth and Emily Deschanel for their dedication to important causes and inspiring a difference in the lives of others. The inaugural Inspire a Difference event is part of Investigation Discovery's new public affairs campaign, encouraging a national dialogue about victims' rights and healing. Wendy Naugle, Executive Editor of Glamour kicked off the evening followed by the honoree ceremony hosted by Henry Schleiff, President of Investigation Discovery. 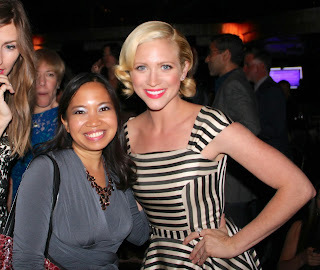 Love is Louder: Actress Brittany Snow founded Love is Louder to support anyone feeling mistreated, misunderstood or alone. Individuals, communities, schools and organizations have embraced Love is Louder as a way to address issues like bullying, negative self-image, discrimination, loneliness and depression. 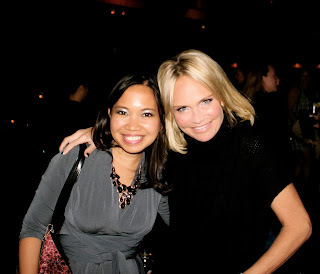 Maddie's Corner: Inspired by her love for her dog Maddie, singer, actress and comedienne Kristin Chenoweth founded Maddie's Corner, an organization that supports not only animals in need, but also emotionally abused and at-risk children through the sponsorship and creation of pet therapy programs. Maddie's Corner has also established a humane education and anti-bullying campaign aimed at fostering tolerance and compassion in youth, with the hopes of preventing violent and abusive behaviors. 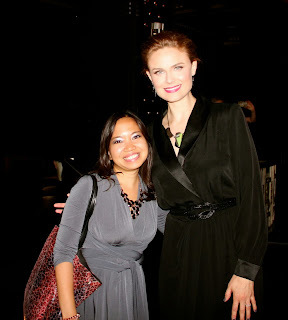 Five Acres: Actress Emily Deschanel is a supporter of Five Acres, which works to prevent child abuse and treat abused children and their families via residential and outreach programs. Five Acres also trains and supports foster and adoptive families to provide children needing homes a safe place to heal and thrive. It was a pleasure meeting with Kristin, Emily and Brittany! They are such amazing women and an inspiration to all of us for their dedication to their charities.